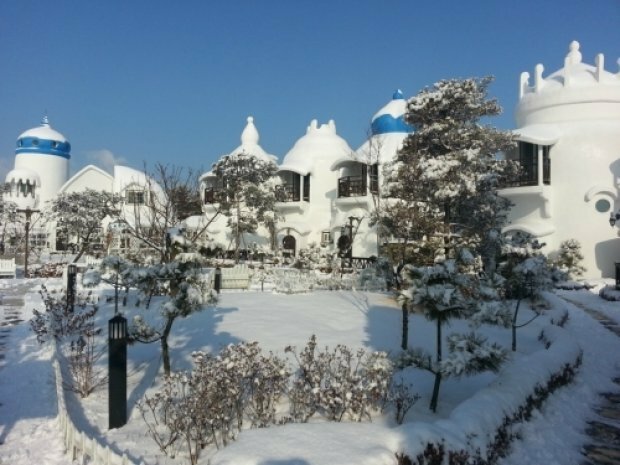 Planning a trip to South Korea but don't know where to stay? 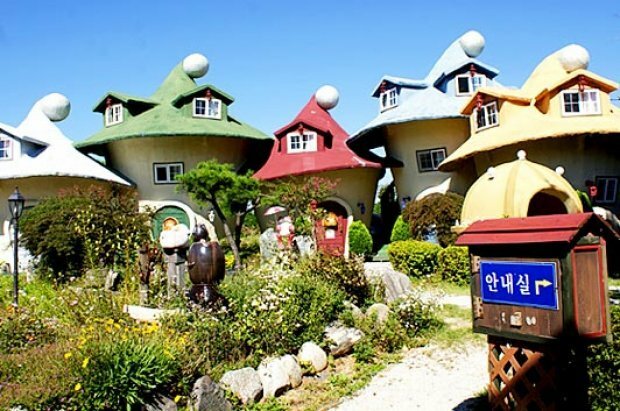 Here are some unique accommodations to make your South Korean getaway extra special. 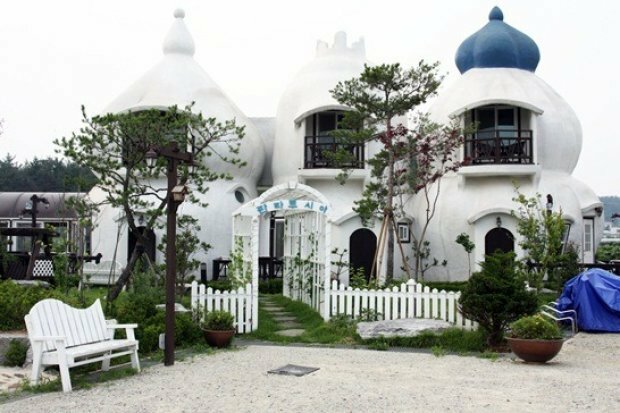 Here’s my pick on the most unique and amazing accommodations in the western coast of South Korea. Santorini, the island famous for white walls and blue roofs/windows/railings, has been a rather popular travel destination in recent years. 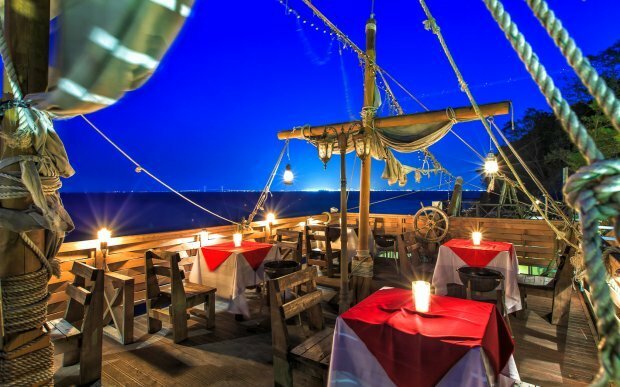 It’s definitely on my to-go list but it’s a little far and expensive holiday destination for now. 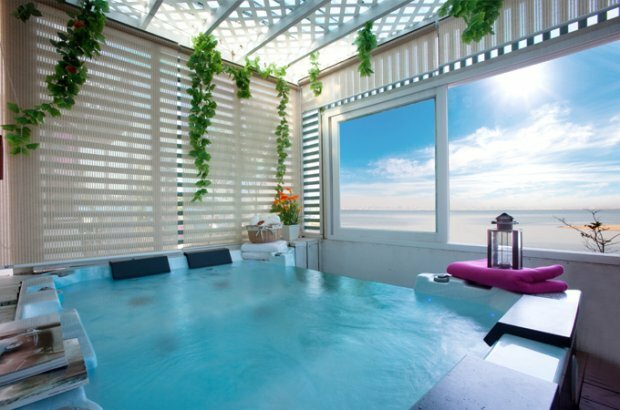 I guess this Santorini-themed pension can be a lovely substitute for now. (1) Suwon Station (Seoul Subway Line 1), Exit 6. Go straight for about 140m to the Suwon Station Bus Stop. From the station, take Bus 1004 bound for Jebudo, and get off at Gaegyeongchon (개경촌). Go down to an alleyway across a restaurant with a yellow sign, and walk for about 15min to Happy House Santorini. (2) Geumjeong station (Seoul Subway Line 1, 4), Exit 4. Take Bus 330 bound for Jebudo, and get off at Gaegyeongchon(개경촌). Go down to an alleyway across a restaurant with a yellow sign, walk for about 15min to Happy House Santorini. Travel time from Seoul via public transport: 2 hr 30 mins. 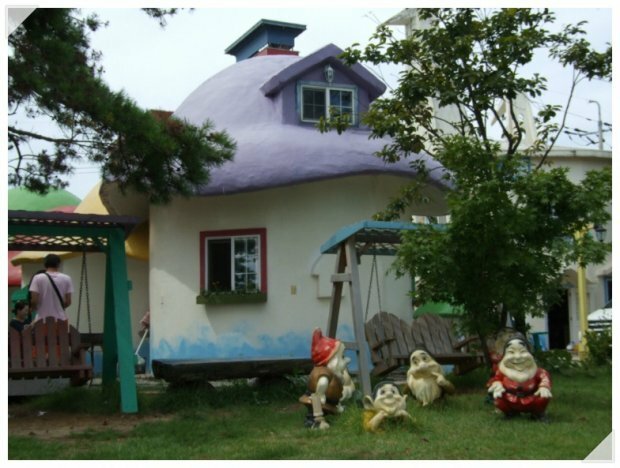 There are 12 rooms available in this smurfy pension and if I’m not wrong, you might be able to fully experience living in mushrooms as their ceilings could be quite low and you may have to climb a wooden ladder/steps to your bedroom on the second floor. If you’re visiting this place (along the western coast), why not head over to the neighbouring island Daebudo to play on the muddy beach and dig clams for dinner? This place is kind of inaccessible and I guess it would be an adventure only if you have kids. Directions: I can’t seem to find any public transport to get to this place but taking the nearest metro station is Oido, Line 4, Exit 2. Cross the road outside the station, and take Bus 790 and drop off somewhere nearer to coast before taking a taxi. Alternatively, just take a taxi or rent a vehicle to get to this place. 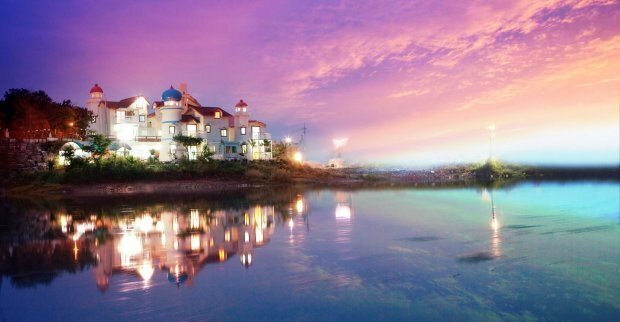 From the photos of this Happy World Jongihak Pension, I presume this place is pretty big and it will seem like you have just entered a storybook. 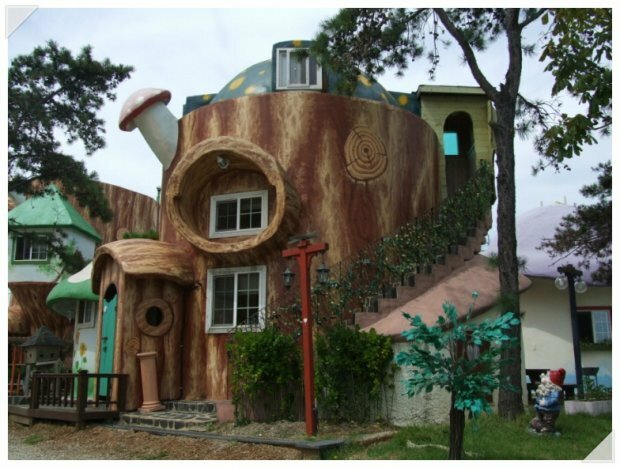 You can choose to stay in a mushroom, a tree house or even a paper crane house. When you think that things can’t get even more interesting, let me introduce to you Aladdin Pension. This 11-room pension (in 4 separated buildings) seems to cater more to honeymooners rather than families. 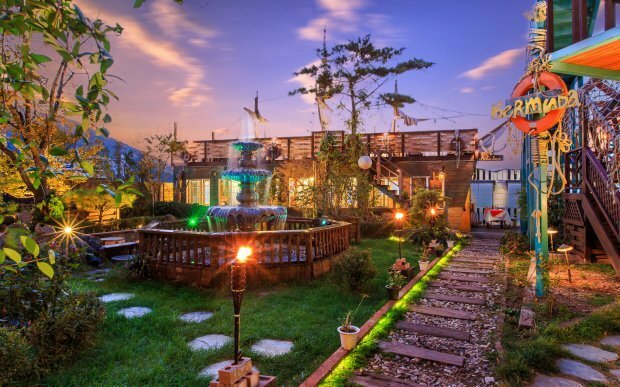 According to their website, they market this place as “couple pension”. 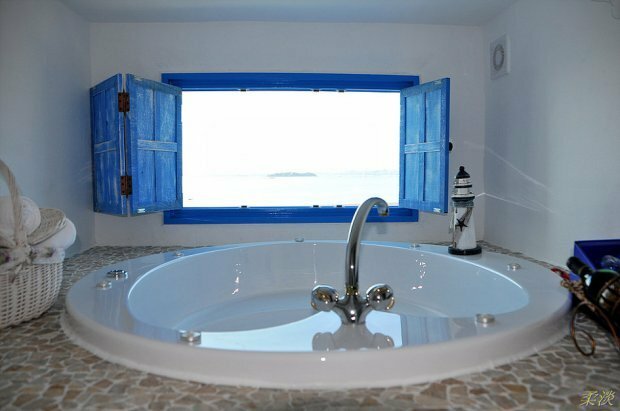 There’s even a wonderful sea-view spa available (not sure if there are additional charges for this). Directions: (In Daebu-do) Oido Station (Seoul Subway Line 4), Exit 2. Cross the road outside the station, and take Bus 790 to Bukdong 3-way Intersection (북동3거리정류장). + taxi. Gosh, when I saw the photos of Gulliver's Travel Pension, it seems a little too bling and unbelievable. However, once I saw the prices, I think it is believable. The room prices start from KRW130,000 (approx. SGD155) per night and there are 18 different themed rooms to choose from. 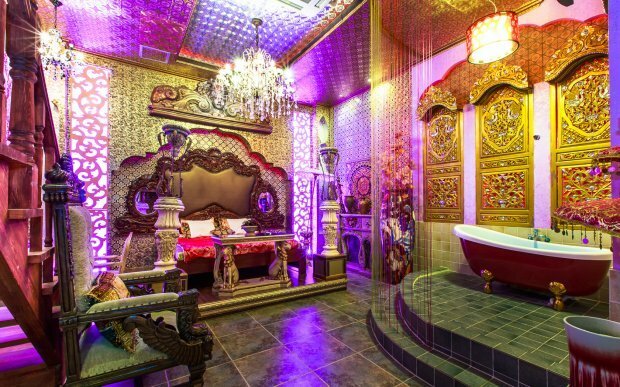 Not all rooms are so bling-bling. 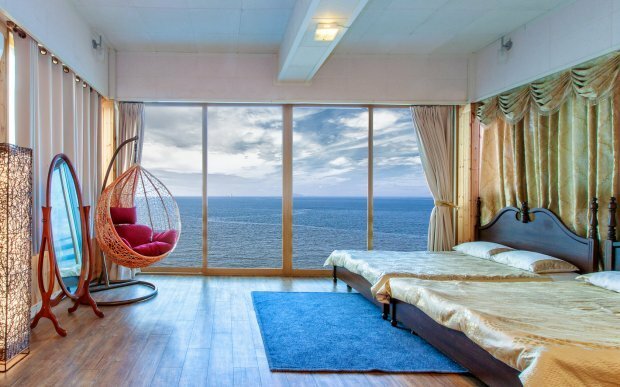 There’s an ocean view room which looks pretty decent too. 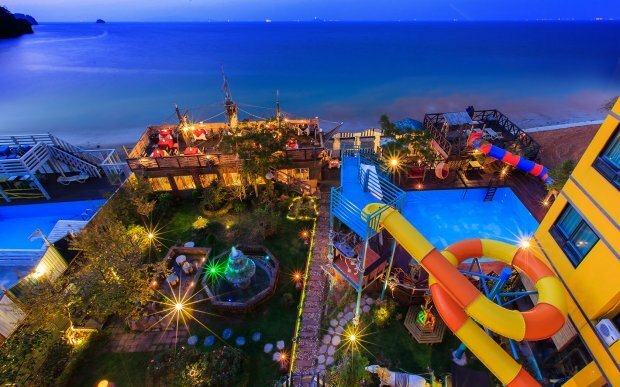 The water slide is a new addition to their pension. Even though it’s been around since 2008, I guess they have been spending a lot of money to maintain this place or they photoshop their photos really well). I don’t know what’s the popularity of Gulliver’s travel in Korea. Honestly, it’s not a story that registers in my mind but I do remember that he fell off a ship and ended up being a giant in another land. 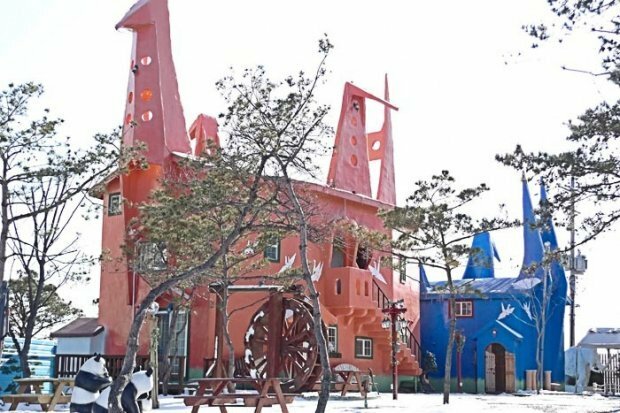 I’m adding Fanta Lucia pension in as I want to gather opinions on what do people think of these oddly-shaped buildings? I’ve been thinking about it for a while but I still can’t put any symbolic representation. It looks pretty nice during winter right? Just a short survey, (as a non-Korean tourist) will you be interested in staying in these lovely pensions in South Korea despite the language barrier, lack of public transportation and difficulty in booking? Most of these places require pre-payment made via Korean bank transfer and it’s kind of difficult unless you know someone in Korea who is willing to translate and make the reservation and payment for you. 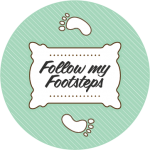 Contributed by Follow My Footsteps x Flyhoneystars.